Behind the Scenes at Ruzuku: Teach Me Something! We’ve been pretty serious around here recently, with lots of talk about course creation, focus, and marketing. And while that’s all well and good, sometimes it’s nice to let your hair down and have a little bit of fun. So for this month’s team roundup, we wanted to take a humorous peek behind the curtain and learn something new about the team, aka the people behind the scenes. If you were to teach a course on the Ruzuku platform, what would you teach? And what one thing that you’ve loved about an online course that you’ve taken would you apply in your own course? Let’s get to know (almost) everyone a little bit better, shall we? Hm, what course would I teach? This is just a rough idea, but I’d like to teach people how to make the most of their mornings. You might also think about it as an exploration of why most people waste the best parts of their day, and how they can stop doing that. 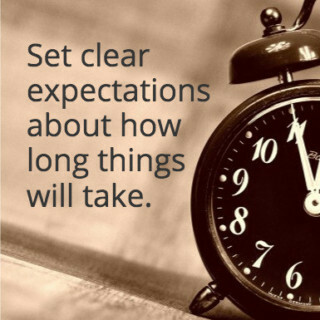 First, she sets clear expectations about how much time you should spend on the course and has an encouraging way of getting you to commit time to completing it. Secondly, she has very clear discrete activities – like “watch this,” “review this,” “do this,” “share this” – so you know exactly what you’re supposed to do at each step in the course. Her approach is motivating because you always feel oriented and like you’re moving forward. I would teach a course on Permaculture (which is a way of working with nature and natural ecosystems when setting up agricultural and other systems). For me, the thing that helps the most with online courses is having clear, high-quality written content paired with good video content, especially where any physical activity or technique is concerned. I also really like to be able to watch orlisten to videos at 1.5 or 2x the normal speed so I can get through the lessons faster! So in my permaculture course, I’d definitely want to have solid written material for students to skim, revisit, highlight and underline, and I’d couple this with videos of various plants, techniques, demonstrations, etc. 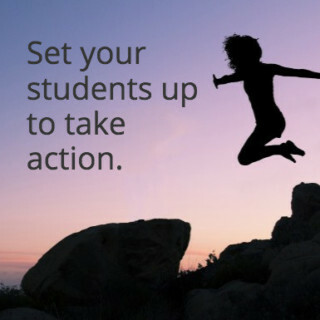 That way, students would know exactly what to do to get the best results. I’m big on fundamentals. 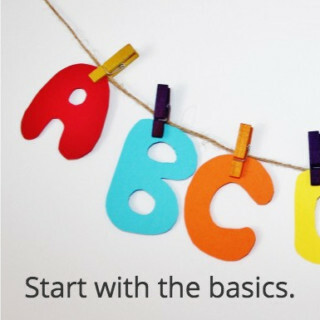 If someone asks me for advice on how to get started with something, I always say start with the basics! As for what I would actually teach in Ruzuku? That would have to be a course about archery. I used to shoot archery a few years ago and when I did, strangers would always ask how I shot without missing. My advice was just to start with the basics. Archery engages both your mind and your body. Don’t worry about missing the target, because when you’re learning you’re never going to be perfect. Enjoy letting go of the arrow and hearing it whizz by your ear to fly towards the target. Archery, first and foremost, should be fun! The one thing that I particularly loved about online courses I’ve taken are the visuals and graphics since I am mostly a visual learner. When courses have visuals and graphics to help explain something, then I can visualize the subject and make more sense of it than I can from simply reading the text on a page. I especially appreciate when more abstract subjects have animated graphics to show how something works. When students can actually see how something works visually, I believe that is the best thing you can do for your course. If I was to teach a course on the Ruzuku platform, I might try how to make the best possible sandwich. First we’d establish the highest priority for a good sandwich — the bread. It’s got to be thick and dense, NEVER white bread. My preference is for whole grain with seeds, for an interesting texture and good nutritional value. Then comes the layering of the freshest ingredients — an art form, really. Mayonnaise on one slice of bread, grainy mustard on the other slice. Then the cheese, to provide a protective barrier between the bread and the more drippy content. And oh, the crispest possible lettuce, thick-sliced ham or turkey… you get the drift. I could write a Ruzuku course activity for selecting and layering each of the ingredients. Just think of the interesting community discussions that would ensue about the nature of truly excellent deli turkey! I took a Ruzuku course a few months ago and wrote to the Guide to let her know how much I appreciated her attention to detail, and the thoroughness of her research on the topic. I could tell she spent a lot of time thinking about how her students would use the information she provided, and she laid out her course framework in a logical flow that kept me enthralled through each activity. On a practical level, the first course I’d teach on Ruzuku is how to find house-sitting gigs overseas. 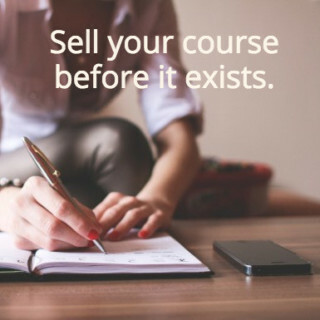 It’s a course that’s already created that I need to get around to selling sometime this summer. But a more fun course would be called “Fake It ‘Til You Make It.” I’d teach people how to tell yourself that you can do things – scary things – even when you’re not sure you can. My ballroom dancing coach gave me this advice years ago before my first competition, and it’s stuck with me ever since. I should be clear that my course would deal with mindset and attitude – I’m NOT talking about half-assing physical things (like software, or business systems, or marketing). 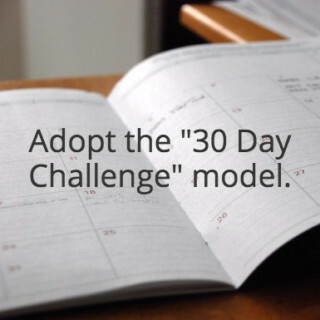 If I were teaching, I would adopt Abe’s 30 Day Challenge model — I’d post questions designed to get people to take action on what they’re learning so that they can make progress and see each other making progress too. Oh, and I’d also use the “introduce yourself and tell us something weird about you” exercise from Ruzuku 101. We get some really cool responses to that one! I would teach a course on finding a work-life balance that works for you, and I might call it something like “FOMO? No mo’!” It would be about helping people let go of the fear of missing out by crafting a life where they have time for all of the things that they consider really important. This would, of course, include sections about how to figure out what those important things really are, how to let go of being “busy,” and also how to fit in all of the other non-negotiable stuff like sleep, nutrition, and exercise (and maybe even how to have fun in the process). The courses I’ve gotten the most out of have been less about the lesson material itself and more about two specific things: first, access to the teacher in some form or other, and second, a built-in community. I would want to create a learning community where my students can share their experiences — where they can inspire each other to action, stand by each other through the places where they might otherwise get stuck, and form a community that lasts beyond their time in the course itself. The real question for me is not “if” I teach a course, but “when.” And the answer to that is, as soon as I decide which course to teach! I have approximately 3,782 ideas a week, so it’s kind of a toss-up right now. My first course, though, will definitely be related to parenting. I’ve been a freelance parenting writer for years, so I have all sorts of resources for building an audience in that niche. For my course topic, potty training is a possibility, or something related to cloth diapers, or green parenting. Maybe “How to Potty Train at Any Age Without Really Trying”? You’d buy that, right? I have lots of other ideas, too. Sometimes I daydream about creating a course with broad general interest. Maybe a course on small talk and networking (I’m a genius at small talk!) called “You Can Talk to Anyone” (bought that domain) or something against racism (bought a domain for that one, too). Yes, I buy a lot of domains. I collect them. Don’t judge. But narrowing to just one topic isn’t the only hard part for me. Actually creating the course will probably be even harder. I’m a lot better at starting things than finishing them, and finishing an entire course? — well, that requires a lot of follow-through. Which is why there’s one technique I’m sure I’ll apply to any course I create: I’ll sell it before it exists. I’ll have paying students before I complete the course, because the only way I’ll ever motivate myself to finish it is if I have students eagerly expecting the next lesson! The idea behind creative problem solving is learning to find inventive ways to work within your constraints — they almost stop being constraints at that point and become just part of the landscape of your life or business. And this reframing actually helps you come up with something that you wouldn’t have seen otherwise. As for how I would teach it? Patti Digh runs a course on creativity and she has a variety of exercises — all of which I love. And they all share a common component of getting people off the computer and actually doing the activity. Whether it’s a creative way to journal or draw, the key is that you’re not sitting at your desk. You’re removed from the comfort of the familiar. Then she has folks snap pictures of their work and post them online. And wow — the conversations and discussions that flow from people’s contributions! It’s just an overwhelming output of support and creativity. It’s incredible. I’d love to find a way to include that kind of stuff in my course. If I were limited to just one subject, I would teach a songwriting course. Music is math and physics and it has a real solid, indisputable essence to it. At the same time, the way we enjoy music is so varied that it could be difficult to comprehensively ’teach’ how to write a song, at least in the traditional sense of teaching. I think songwriting is more “done” than “taught”. 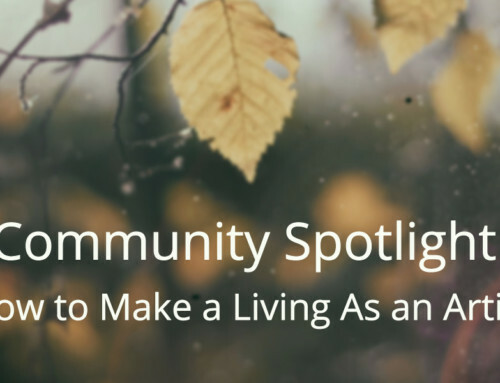 Any class I conduct would be about stoking your creativity and fostering community. I’ve always loved courses that allowed me to have some amount of connection with my classmates. My class would help folks to feel like they’re not alone — there would be a real emphasis on community sharing and discussion. I would run a culinary course that teaches people how to prepare delicious plant-based meals with no added fats. That means no oils, no butter, no deep frying — only cooking techniques that bring out the best in fresh food without destroying it. There are so many great chefs from around the world who prepare amazing meals that not only taste good but are good for you. I would bring all these chefs together in my course. Each month would be dedicated to a different chef with his or her special menus, cooking techniques, and favorite meals. It’s wonderful that it’s so easy to create courses on Ruzuku, but the interactive element is what I love most about the platform. I have taken online classes that consist of mainly pre-recorded videos and webinars that are scheduled at times when people are usually at work. 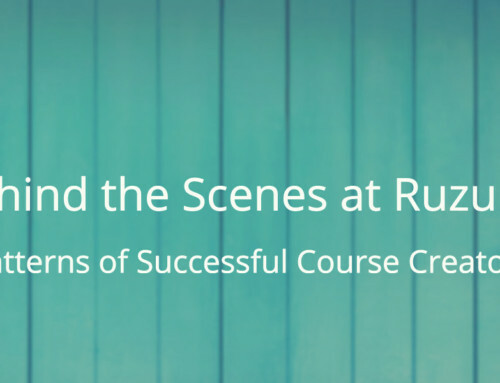 There were no webinar recordings so it was impossible watch them later, and the interactive element was reduced to a private Facebook group — I would never offer a course like that! The most challenging part of creating the course would be to bring the chefs together and organize the course materials. Once that’s done the fun part can begin: upload the materials (easy), make it look good (super easy), start promoting the classes (can’t wait to get started with this) and open enrollment for the first months while the remaining months are still under preparation (start making money early in the process — sounds good to me). Which of these courses would you want to take? 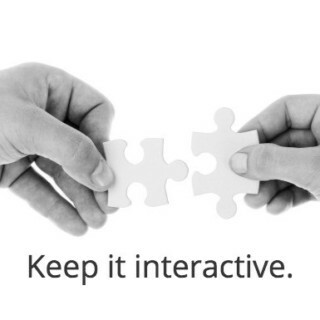 Are there any things that our team would include in their courses that you would want to include as well? And, what fun course idea have you always dreamed of creating, but haven’t gotten around to yet?